There's nothing pedantic about this prodigious piano pedagogy. As the swinging scion of two of Cuba’s great heavyweight champion pianists, Chuchito is the grandson of Bebo Valdes, the founding father of the piano patriarchy; and the son of the no less phenomenal Chucho Valdes. 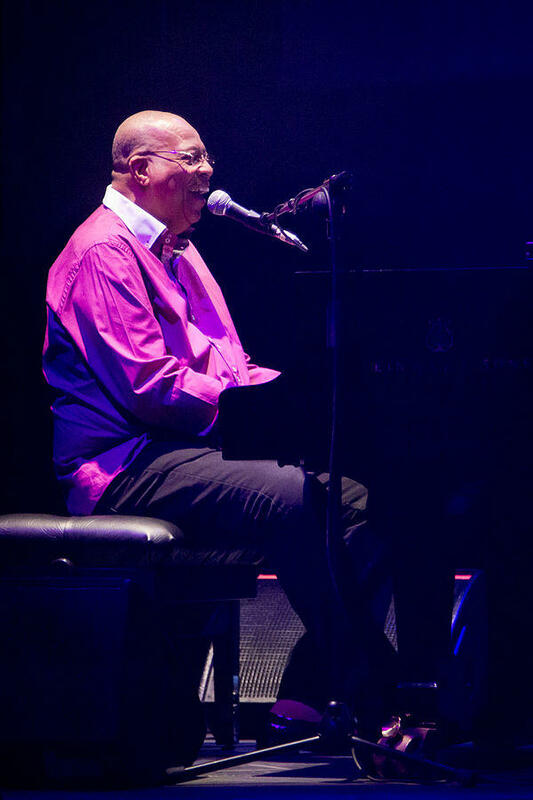 Even amidst that music-drenched, Caribbean nation’s rich heritage of premier piano players well-schooled and fluent in the pianism of jazz, Afro-Cuban and classical music, Bebo and Chucho are Cuban Colossi, with Chuchito following in their giant footsteps, wearing a pair of seven-league boots of his own designing. Father of Chuchito Valdes, Chucho Valdes. You can see for yourself that this youngest piano paladin in the House of Valdes is the real deal -- not merely a pretender to the throne -- as he performs with his quartet on Saturday, August 15, at 6:30 pm at Ridgefield Playhouse at 80 East Ridge in Ridgefield, Connecticut. Actually, the event, which includes wine tasting, specialty rum drinks, and Cuban-inspired cuisine, will be held under a tent on the field next to the Playhouse, a buzzing, non-profit cultural hub for Ridgefield. Festival activities begin at 5:30 pm in the tent, an hour before downbeat time for Chuchito’s richly varied musical fare. Intense, or even under tents, his rococo inventions are illuminated with stunning piano pyrotechnics and governed by the Cuban-born maestro’s strong will to both excel and entertain. Along with Cuban music, libations, and tasty things to eat, there will also be an exhibit of artwork by Cuban artists. Tickets: $35.00. Information: ridgefieldplayhouse.org and (203) 438-5795. Born in Havana, Chuchito was, little surprise, a child prodigy who went on to study with many great Cuban masters, including -- also no surprise -- his father, Chucho the Magnificent. Chuchito Valdes served a prestigious two-year stint as the leader of the world-renowned Cuban band, Irakere. Chuchito, who is also a skilled showman, a physical performer, and a master musician of great sensitivity, has had an ecumenical musical education that respects none of the usual claustrophobic categories held sacred by critics. 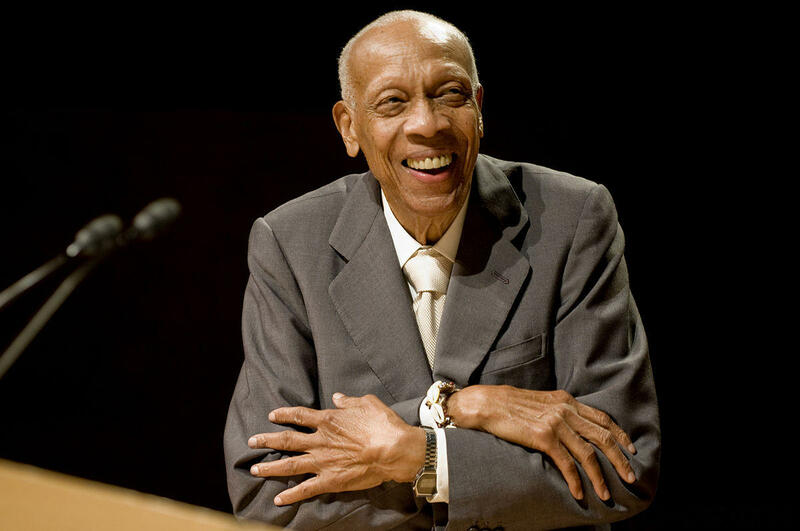 Cuban, jazz, and classical are all part of his dominion as a freewheeling pianist and composer who from bar to bar may stride through multiple styles, whether Afro-Cuban, Latin Jazz, cha-cha-cha, or whatever ignites his imagination. With Chuchito's grasp of piano techniques, he can evoke anything from Scriabin to Rachmaninoff, from Ellington to Gershwin or Gillespie, from the pristine melodies of the folkloric to the harmonic and technical sophistication of such 20th century piano potentates as Tatum and Peterson or Horowitz and Rubinstein. More than likely, the piano maven could play just about anything you might want to dance to, tap your foot to, or just let your imagination soar to on any of his chosen grooves, whether his inspiration of the moment flows from Bach to bebop to the blues or danzon, meringue, or some uncharted horizon. One guarantee of such a stylist without borders and with a chameleon range of tonal colors, shifting moods, textured voicings, and dynamic shadings is that wherever Chuchito's flights of imagination may take him, he won’t be boring. There’s nothing pedantic about this prodigious piano pedagogy, and something quite admirably populist about his wanting his art to strike a chord with his listeners, bringing pleasure and accessibility rather than mystification and a migraine. Grandfather of Chuchito Valdes, Bebo Valdes. Over the years, the globe-trotting performer has made acclaimed recordings, appeared at premier world festivals and famous venues. Literally following in his father’s career path, he served a prestigious two-year stint as the leader of the world-renowned Cuban band, Irakere, a hothouse for luxuriant Cuban talent exported throughout the global village. Rather than living in the shadows of his awesome grandfather and father, Chuchito has, on his own, transformed his music into an expression of himself. Proud, of course, of his pedigree, he also knows that man cannot live on pedigree alone, at least not in the jazz world where the hard currency is ultimately talent not inherited position or social status. 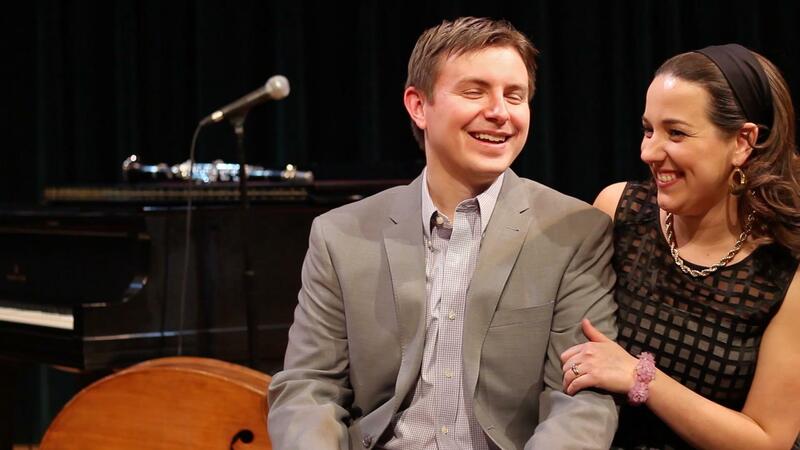 Pianist Matt DeChamplain and his wife and musical collaborator, vocalist Atla DeChamplain, celebrate the centennial year of the birth of singer Billie Holiday and composer/pianist Billy Strayhorn on Saturday, August 15, at 8:00 pm at Baba Louie’s Backroom at 34 Depot Street in Pittsfield, Massachusetts. The talented Connecticut jazz power couple, who have established a reputation for their high-quality collaboration in performances throughout the region, will be joined by the excellent bassist Matt Dwonszyk. Holiday’s repertoire ranged from the tinniest of Tin Pan Alley hits of the day -- tin she transformed into solid gold -- to what are now regarded as American Songbook Classics, as well as profoundly serious, disturbing, tragically forever socially relevant songs like the anti-lynching anthem, "Strange Fruit." Whatever Lady Day sang, she made sublime, completely and indelibly hers back then, now, and forever. Strayhorn, invariably described as Ellington’s alter ego, was actually far more than that, and was, in fact, a musical genius in his own right. He wrote many great, moving songs, including such gorgeous, impressionist masterpieces as "Chelsea Bridge" and "Lush Life." The centennial tribute to Billie and Billy is presented by Berkshires Jazz Inc., a non-profit organization whose mission is to present jazz performances and promote jazz education throughout Berkshire County. 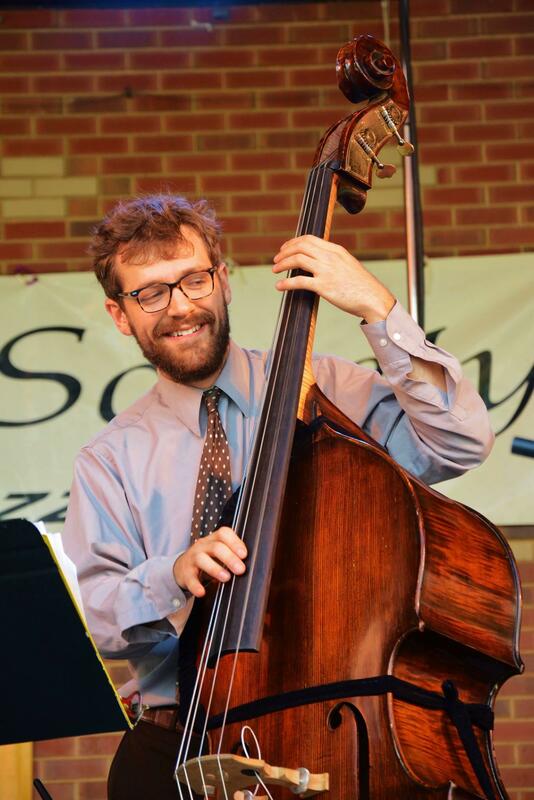 Edward Bride, a dedicated jazz advocate, is president of the organization which, in addition to the praiseworthy Pittsfield City Jazz Festival, presents concerts during April (Jazz appreciation month) and throughout the year. It has brought a wide range of performers into the area, including NEA Jazz Master Randy Weston, as well as groups featuring such guest soloists as Marvin Stamm, Gary Smulyan, Elli Fordyce, Eli Newberger, and the Connecticut-based pianist/composer Noah Baerman. Tickets: $20.00 in advance and available at berkshiresjazz.org and at Baba Louie’s; $25.00 on the day of event. Saxophonist Charles Neville, a one-man soul-fest and member of the famous Neville Brothers, performs on Thursday, August 13, at 7:30 pm at Middletown’s Buttonwood Tree. 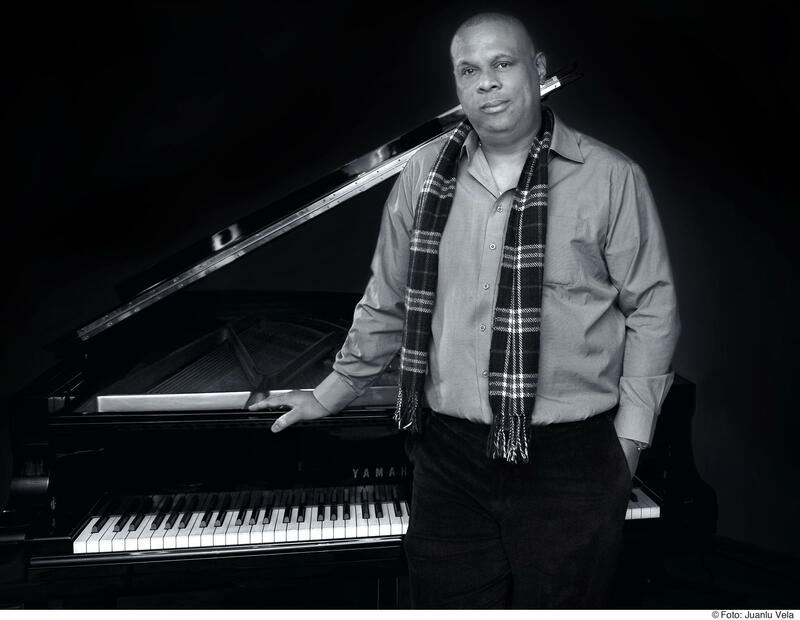 The Crescent City native, who lives in Western Massachusetts and often performs throughout the region, will be accompanied in a duo format by his son, Khalif Neville, a rising, young pianist. Flavored with the saxophonist’s original Neville/NOLA seasonings, the evening’s fare is billed as ranging from “fast-paced Charlie Parker standards” to “slow Erroll Garner ballads.” Tickets: $18.00 in advance; $20.00 at the door. The Buttonwood’s doors and Café/Bookstore open a half-hour before showtime. Information: (860) 347-4957. As part of the Saratoga Springs, New York, Centennial Celebration, The Buttonwood Tree is exhibiting selections from an historical photographic collection that documents the Daggs family, a tight-knit group of African-American, Native American, and Dutch ancestry that has resided in one of the city’s historic neighborhoods since the 19th century. A special exhibit at the Buttonwood presents about 25 of the complete collection’s 100 photographs of mostly black-and-white images, which chronicle 100 years of the Daggs’ family history. More than just an individual family portrait, the exhibition celebrates a universal sense of place, kinship, community, and continuity, linking present with past generations. With their evocative sense of time and place, the images will serve as a kind of visual accompaniment for a performance on Saturday, August 22, at 8:00 pm by Jazzage, a trio featuring two musical members of the Daggs family, Carol Daggs on piano and voice and James Daggs on double bass. The trio is rounded out by the highly skilled drummer Billy Arnold, a longtime favorite in the Hartford and Springfield region. Along with jazz pieces and, perhaps, slices of soul and R&B, Jazzage will also serve original compositions by Carol Daggs. Tickets: $10.00. The photo exhibit will be on view through August 31 at the Buttonwood during the non-profit arts and performance center’s regular hours. Information: buttonwood.org. Whether at reunions or commemorations of landmark anniversaries, nostalgia, an often mocked and much maligned mood rooted in the distant past, can actually generate electrifying vitality and pleasure in and for the present moment. Two upcoming events in Hartford should prove that point. One headlines the venerable but still fiercely rocking Roomful of Blues, while the other features the noted organist Brian Charette reuniting with and jamming with old Street Temperature bandmates from the 1990s. Roomful of Blues, which celebrated its 45th anniversary in 2013, is still jumping and swinging the blues as youthfully as ever as it will demonstrate yet once again on Friday, September 4, at 8:00 pm at Infinity Hall and Bistro, 32 Front Street. The band, which has earned five Grammy nominations and seven Blues Music Awards, released its most recent CD, 45 Live, in 2013 commemorating its -- hard to believe -- 45th anniversary. Even back then a couple years ago at 45, Roomful of Blues showed no signs of middle age spread, no loss of mental or physical acuity that might diminish what USA Today once described as the band’s “high voltage yet classy” way with jump blues and R&B. 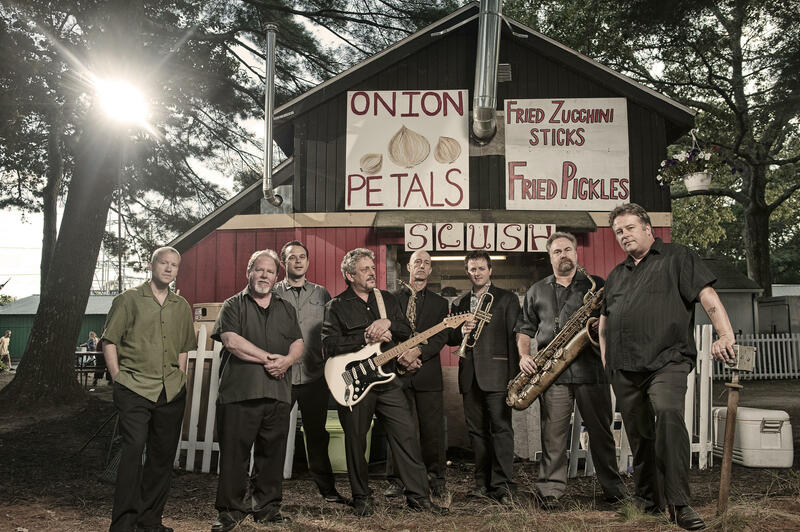 Thanks to what has been called its “larger than life” vocal and horn-heavy, instrumental power, the band has twice won the prestigious Down Beat International Critics Poll as “Best Blues Band.” Tickets for the bluesy bash: $35.00 to $5500. Information: infinityhall.com and (866) 666-6306. Charette, a Meriden native and Grammy nominated groovemeister, is set for a torrid jam fest with old bandmates from Street Temperature, Frank Varela, and Ric Marshal, on Saturday, September 5, at 9:30 pm at Black-eyed Sally’s at 350 Asylum Street in Hartford. A mighty, even dominant fusion force in Connecticut in the late decades of the 2oth century, the white-hot, mercurial Street Temperature band was a popular fixture with a fervent following at club owner/impresario Al Casasanta’s 880 Club, the legendary jazz venue in the city’s South End. 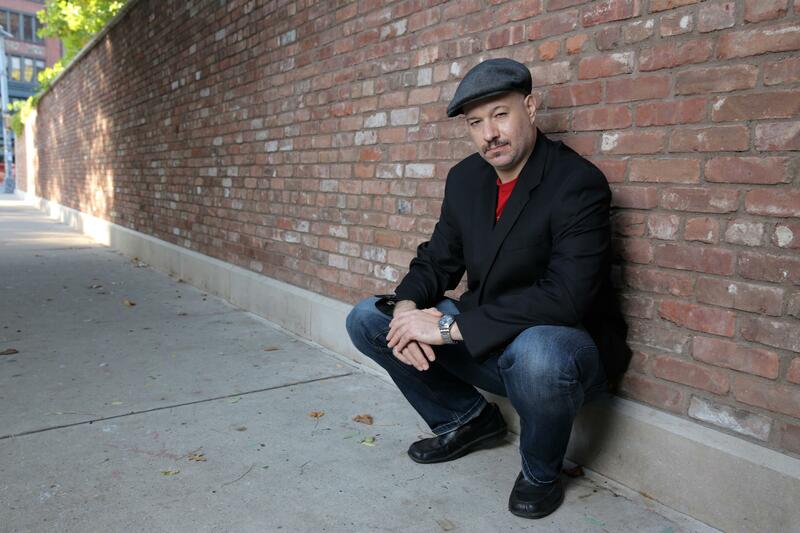 A dean’s list graduate from UConn in 1994 with a BA in classical piano performance, Charette, a devout convert to organ, has made acclaimed recordings under his own name, toured Europe and displayed his versatility by working with diverse artists ranging from Joni Mitchell and Cyndi Lauper to the soul-soaked saxophonists Lou Donaldson and Houston Person. Admission to the steamy funkfest/reunion: $10.00. Information: blackeyedsallys.com and (860) 278-7427.